Chrysler did not start the Sixties in very good shape. Their compact model Valiant didn’t do well against GM’s or Ford’s offerings and even AMC with the Rambler managed to get ahead of Chrysler. One of the victims of this lack luster performance was DeSoto. With only big cars to offer sales, which had been falling for two years, suddenly plummeted. 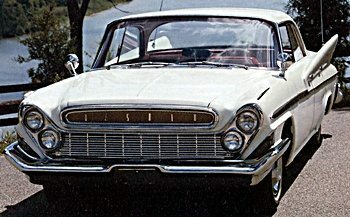 Even though in ’61 a token attempt was made 1960 was the last real model year for the DeSoto. Dropped from the line and forgotten much like Ford’s Edsel. 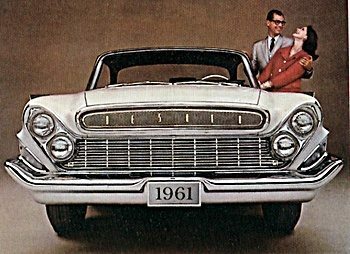 in late 1960 Chrysler decided that it was too expensive to continue building them.